Cerulean Studios have opened up their web-based version of Trillian Astra for beta testing. 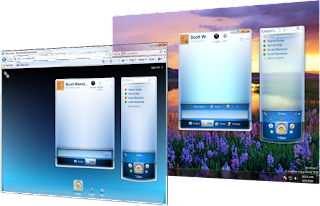 Unlike Trillian Astra desktop client for Windows, this browser-based version will also work on other operating systems like Linux and MacOSX. This new beta is open to anyone with a free Trillian Astra account. Simply go to the Trillian web site at http://www.trillian.im/, and sign in by entering your Astra Username and Password on the homepage. Your contact list is fully synchronized and preserved, including groups, meta contacts, custom renames, etc. At your option, you can enable single sign-on and automatically sign in to all the IM services like AOL Instant Messenger, Windows Live Messenger, Yahoo! Messenger, Google Talk and more. My name is Deniz Akay and I live in Istanbul, Turkey. Copyright 2006-2010 © iMessengr, All rights reserved.